...Among others. And no, an appearance in Super Smash Bros. does not count. Kid Icarus got a game after a 21-year drought, so maybe there's hope for these series? ^ And if we do I doubt it'll be like WL1, my favorite for being a pretty standard 2D Platformer. There's tons of dormant franchises, even more if counting spinoffs and Japan exclusive series, as well as "styles" within a series (example: Classic Paper Mario vs modern). If I could pick just one to bring back I think it'd be Mother, not necessarily just for Mother 4 but remasters or remakes, perhaps spinoffs. I know that Intelligent Systems is printing money with Fire Emblem, but...man, I wish they would make another Advance Wars. And I'm not even good at those games. More F-Zero would sure be nice, though, even if Mario Kart 8 is its spiritual successor in some ways. ^ Yeah, Days of Ruin 2 would be cool. As for F-Zero, I think there was a Japanese exclusive, it wouldn't kill them to release it on eShop (along with Mother 3) to at least gauge interest in the franchise. Last edited by I REALLY HATE POKEMON! on Sun Apr 08, 2018 5:35 pm, edited 1 time in total. All I want is a new Golden Sun and a new F-Zero. That's all I've asked for for years. It makes me sad. 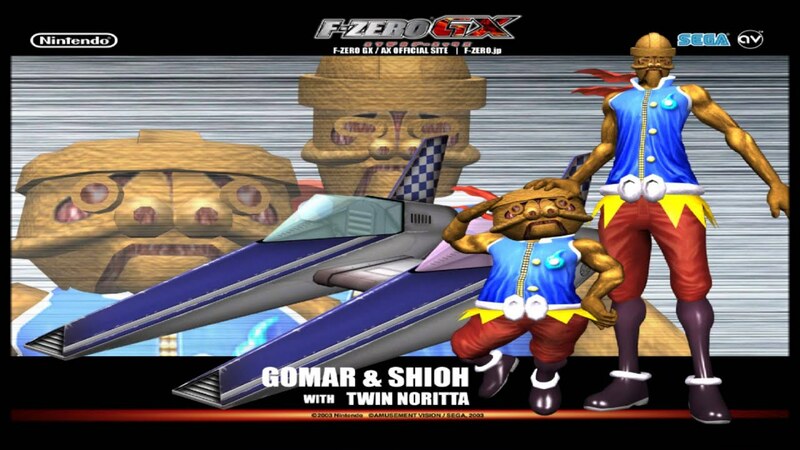 like even if they just remade f zero x like they did with so many other n64 games i'd be down. Oh good look at all these new series to add to NC Comix. ^^^ If they're going to remake an F-Zero it should be GX. HD with online and maybe some new content, that would be cool. I never played F-Zero 64 though so I'd still be interested if they remade that one. Technically, I think Hotel Dusk is a Nintendo IP now and obviously a closing game to form a trilogy is needed. Legitimately curious: Is there something that makes F-Zero significantly different from all the other antigravity racing games like Wipeout or the more recent Redout, Fast RMX, etc? I don't know much about the series, but it seems like there are loads of spiritual successors out there. ^F-Zero has a lot of distinct characters, and i think that's a bigger endearing factor than people realize. i'm probably one of the biggest advocates for the FAST series but i would still prefer having actual pilots with their own names, designs, and backstories than just a generic ship that may not even have a pilot at all. I'd love an official Mother 3 translation, like most people. Seriously, why hasn't this happened yet? Wario Land is also pretty much dead, which is a shame cause "shake it" was awesome. I'm completely happy with the Mother 3 translation we have but I want Nintendo to make an official one JUST SO I CAN THROW MONEY AT THEM FOR IT. Ideal situation, Nintendo works directly with the guy who did the unofficial one - since it's already so beloved and SO GOOD AND THOROUGH - so I can throw money at him too. That bit's probably very wishful thinking though. In fact, full Mother trilogy package release for Switch, please. Followed by a completely out of left field sequel announcement. Oh, a boy can dream. Whoa. This puts a spin on perspective. That's the first one that comes to mind for me. That game was brilliant and it only got one semi-sequel on handheld and that's pretty muchIn the US anyway. I think it got a bit more attention in Japan, but still not a whole lot. The second one in my mind was F-Zero definitely.